If you know me personally, then you know that I’m obsessed with fitness. And that’s why having my own home gym is such a necessity for me. My fiance and I are actually in the process of buying our first home, and having a separate space for a gym is a “must have” on our list! 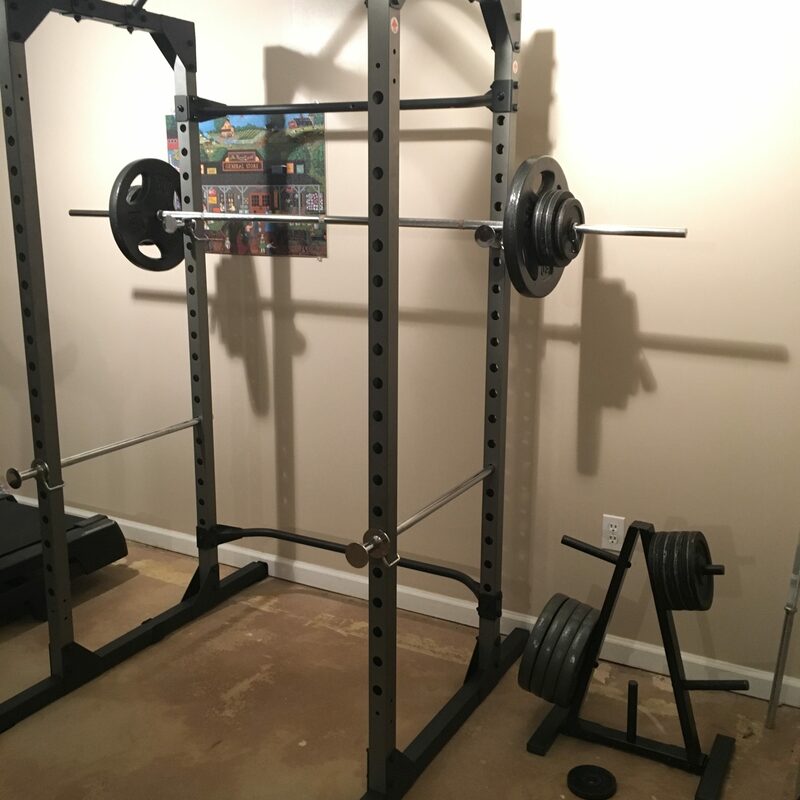 So what items are needed in order to make a home gym? And in what order should you buy them? Let me help you! 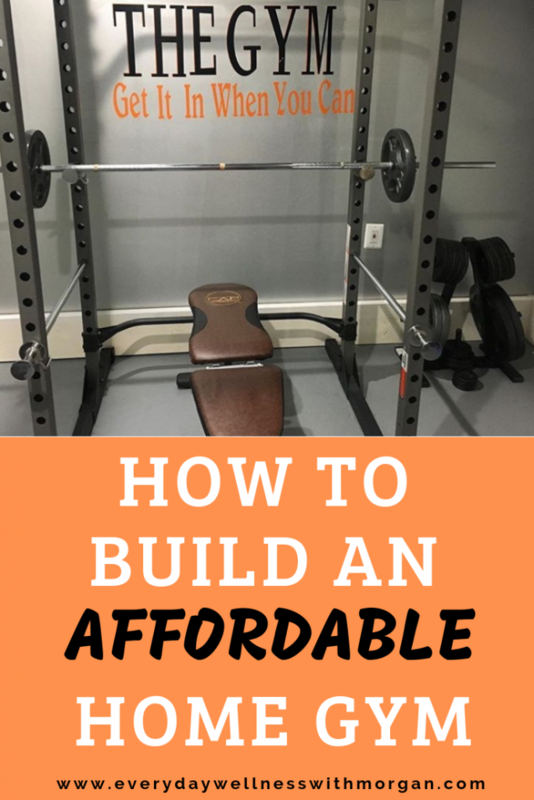 Keep reading for how to build a home gym of your very own without breaking the bank! Every gym needs to have dumbbells, no question. 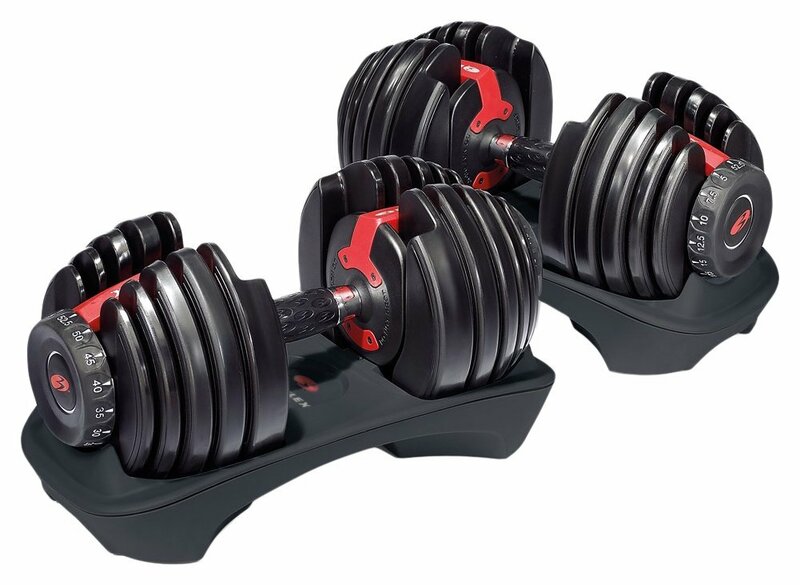 However these can be tricky to buy because you will need different weight dumbbells for different exercises. This is why I highly recommend investing in a pair of adjustable dumbbells. Not only do they give you several weight options in one, but they also take up far less space. 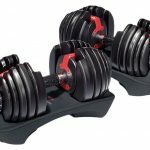 I personally use Bowflex adjustable dumbbells and love them (read my full review on them HERE). However you can also buy regular dumbbells as well. Whatever option you decide to go with, make sure you have enough weight options for most exercises. Definitely invest in a set of resistance bands. You can work every muscle group using just resistance bands. They are also a great substitute for almost any cable machine exercise. I recommend purchasing a set of bands at varying resistances, and also one that comes with a door anchor. I personally recommend Black Mountain Products Resistance Band Set that you can order off Amazon. Now that you’ve gotten your dumbbells, it’s time to take your strength training up a notch with an adjustable bench. There are so many different brands out there, all with different price tags. Make sure that you do your research first (aka: read the reviews) to make sure you get a high quality bench. Also make sure that it has at least 4 different heights (upright, incline, flat, decline). I also like one that has removable leg pads (so I can remove them when doing incline chest press, but put them in place for decline exercises. MY CHOICE: I personally use the CAP Standard Barbell that is 7ft long. And don’t forget your barbell clips! Now that you have a barbell, you need plates to load onto it! If you went with a standard 1″ barbell, then you’ll need to buy 1″ plates, and if you went with an olympic sized barbell then make sure you buy olympic sized plates. STANDARD PLATES: If you need standbard plates, look for ones that have grips built into them. This makes them easier to hold when loading them onto the bar. I personally use CAP Standard Weight Plates. OLYMPIC PLATES: If you need olympic plates, then I recommend you invest in bumper plates. These plates are larger than regular plates and are made of rubber. Basically you can drop them and they won’t damage the plates or your floor. Check out the X Training Bumper plates that come in a variety of colors to help you easily differentiate between weights. If you’re seriously into strength training and what to be able to safely do big lifts like bench press and squats at home without a spotter, then you need to invest in a power rack. There are so many different ones on the market, but I recommended you get one that has 1) adjustable safety bars 2) a pull-up bar, and 3) can hold both a standbard barbell and an olympic barbell. 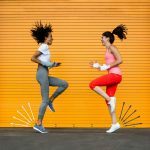 MY CHOICE: I personally love my Fitness Reality Power Cage and actually wrote an entire blog post about it HERE. You can even buy dip attachments for it HERE! Rower – The brand Sunny makes a few different rowers at affordable prices. I like this one because it has an digital display monitor so that you can keep track of your workout. Treadmill – A treadmill is also a good investment because you can do many different things. 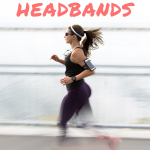 You can sprint, jog, walk and everything in between! I prefer treadmills from reputable brands (which mean good customer service in case something breaks! ), like this Nordic Track treadmill. A punching bag can be a fun and different way to get in a good strength and cardio workout from home! My fiance has a punching bag and he loves it. He uses the Everlast heavy bag and stand. After over a year of heavy use, it’s still in great condition! 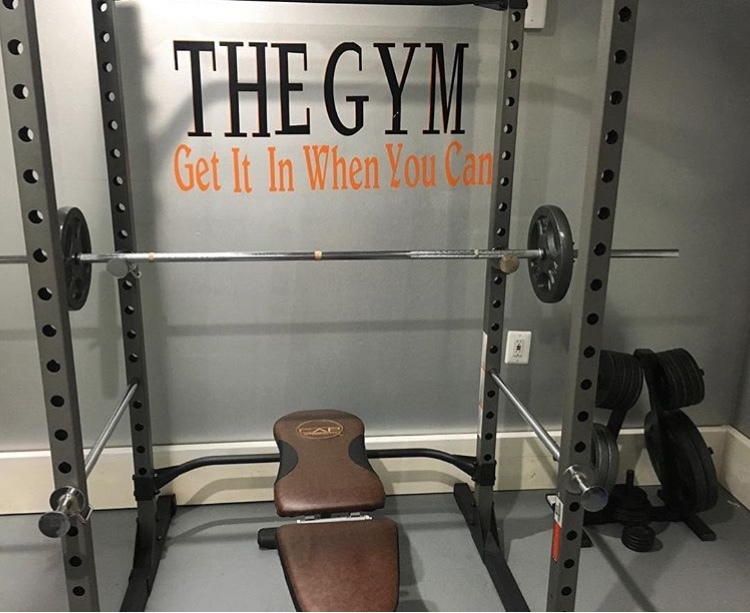 You don’t always have to purchase items for your home gym. Sometimes you can make them yourself! 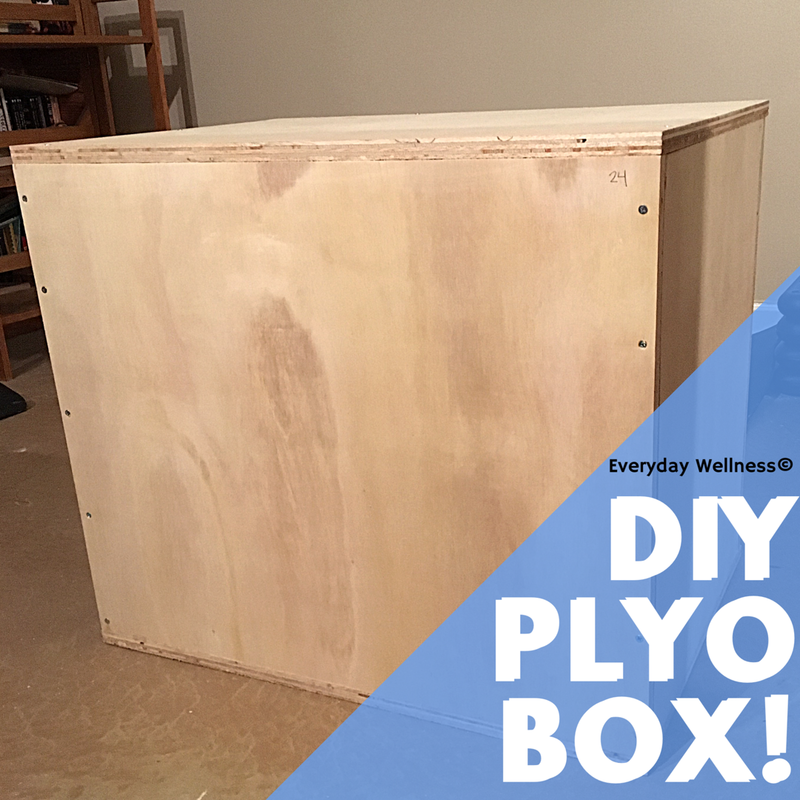 Check out my blog post for step-by-step directions on how to build your own wooden plyo box! Reading through this list might seem really overwhelming…and expensive! But take a deep breath. 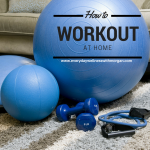 First, you need to realize that a home gym is an investment. Yes it is expensive at first, but think about all of the money you will save on your monthly gym membership! What I recommend (and what I personally did) is to slowly start purchasing items. So instead of thinking you need to buy everything on this list at once, buy 1-2 items. Then wait a few months and buy 1-2 more items. These smaller purchases are nicer for your wallet, and really go a long way!